The founding members of the NZ Health IT Cluster Incorporated (NZHIT) were recognised and thanked at NZHIT's 2018 Annual General Meeting, held during the recent HiNZ conference (21-23 November 2018). NZHIT was formed in 2002 by a small group of visionary technology leaders who wanted to create a single organisation to represent the health IT sector. This has now grown into a strong membership network of 145 organisations representing the digital health industry, healthcare providers, government agencies, health insurers, banks and more. This network represents the majority of staff working in NZ's digital health industry sector and, combined, has shared custodianship of nearly 100% of this country's health related data (a responsibility they all take very seriously). 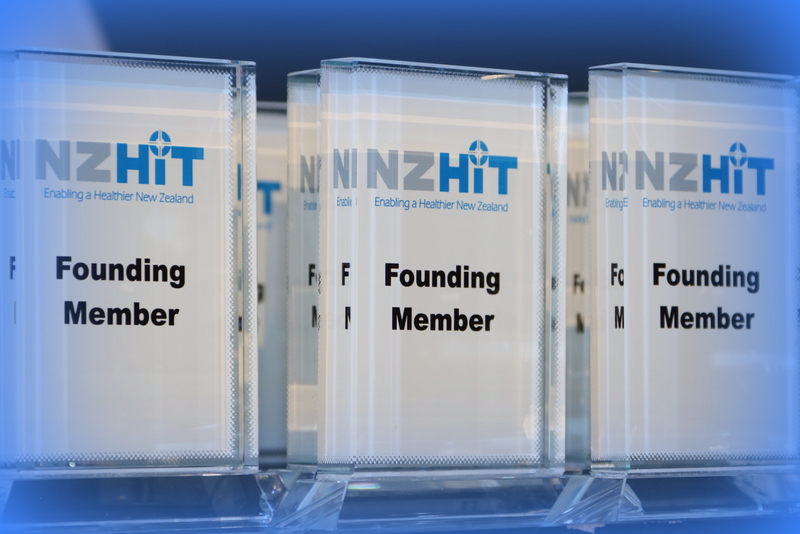 The founding period is defined as being from 2002 to 2004 with 20 members being recognised as "Founding Members" within this period who continue to support NZHIT. Most have remained in operation since this time and continue to make a substantial contribution to NZ's health sector and to NZHIT. Some have continued their support of NZHIT following an acquisition or merger of an original founding member. Kate Reid (NZHIT Chair) and Scott Arrol (NZHIT CEO) were privileged to be able to recognise these Founding Members at the recent AGM and hand their awards to each of their representatives at the event.